The Red Sox new manager has quite the personality. We’ve seen him publicly declare that he hates the Yankees, rattle off conversations in perfect Japanese and even heard him claim to have invented the wrap sandwich. Wait, what? 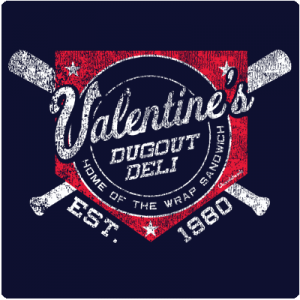 In 1980 Valentine was working at his restaurant Bobby Valentine’s Sports Gallery Cafe. He was making a club sandwich when his toaster broke. Valentine improvised, wrapping the sandwich in a tortilla. He dubbed it a “Club Mex” but others attached the “wrap” namesake to the revolutionary food item. Others claim to have invented the wrap, notably a Lebanese restaurant Sami’s Falafel, but historians note the Lebanese wrap is quite different from the American version that Valentine supposedly created. This is one of those arguments that may never be settled, so I’m going to chalk this one up to Bobby V. Sometimes you just have to believe. Of course leave it up to Chowdaheadz.com to make a fun t-shirt about this. CLICK HERE to check it out! You can read the full story here if you’re still not convinced.